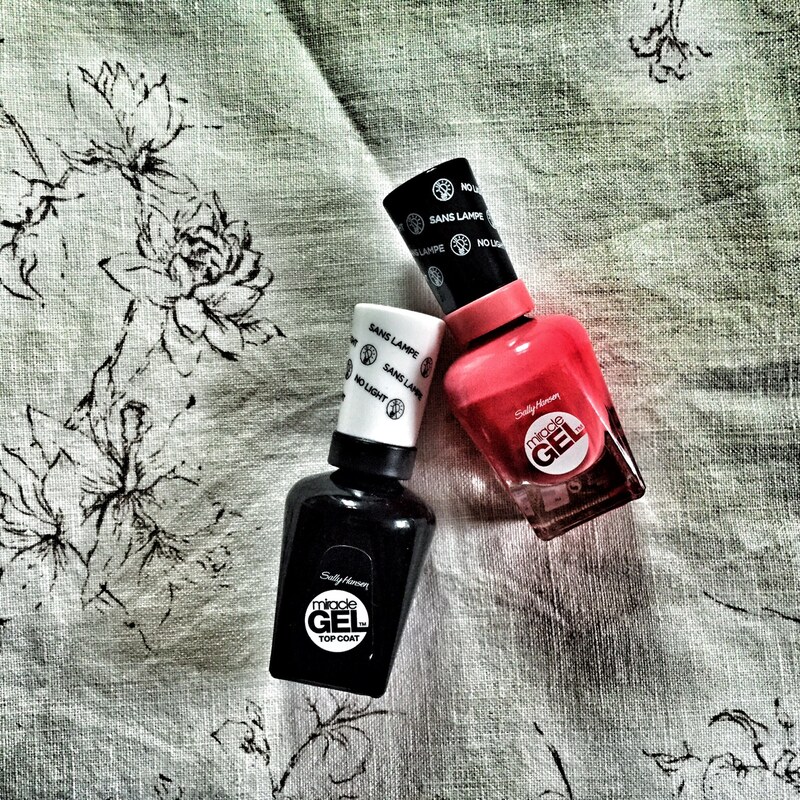 DIY at home: Miracle Gel Sally Hansen and No Lamps Needed!! Who doesn’t like to have their hand and toe nails done at a beauty salon? I have to admit that I love it. Whenever I don’t have time to go to the beauty salon, I tend to do it myself at home. At least once a week if you want your nais to glow. 🙂 Sometimes, when I run out of time and I can’t put nail polish on, I just make sure to wear my nails short and clean, I put some hydrating cuticle oil, and I am all set to go. However, when I do have time, I love to put fun and shiny colors on my nails. Specially now, during Spring and Summer. I have recently purchased this one of Sally Hansen (which is my favorite nail care brand), and it works great. I have to be honest with you, it does not stay on exactly like the salon manicure gel but it does its job quite good enough. Last time I painted them, they lasted for about 5 to 6 days with no chipping or lost in shine; (And I have a baby, so you can imagine….I change diapers, I clean dishes, and all that stuff that definitely does not help in keeping the nail polish intact). You have to apply 2 coats of color first, without a base coat, and then proceed by finishing up with the top coat. The good thing is you won’t need a lamp, just let the nail polish dry naturally and your nails will look great. It won’t last 14 days, as advertised, but I can assure you, it works much better than normal nail polish. You can purchase both separately for $23 at Amazon or sometimes you can find a pack for $11 at Bed Bath and Beyond or Walgreens. What are your thoughts? Have you tried any other brands? Tags: amazon, Beauty, beauty glow, Bed Bath and Beyond, nail polish, Nail Polish Gel, nails, No lamp, Sally Hansen, Walgreens. Bookmark the permalink. Previous post ← Lashes, lashes and more lashes!